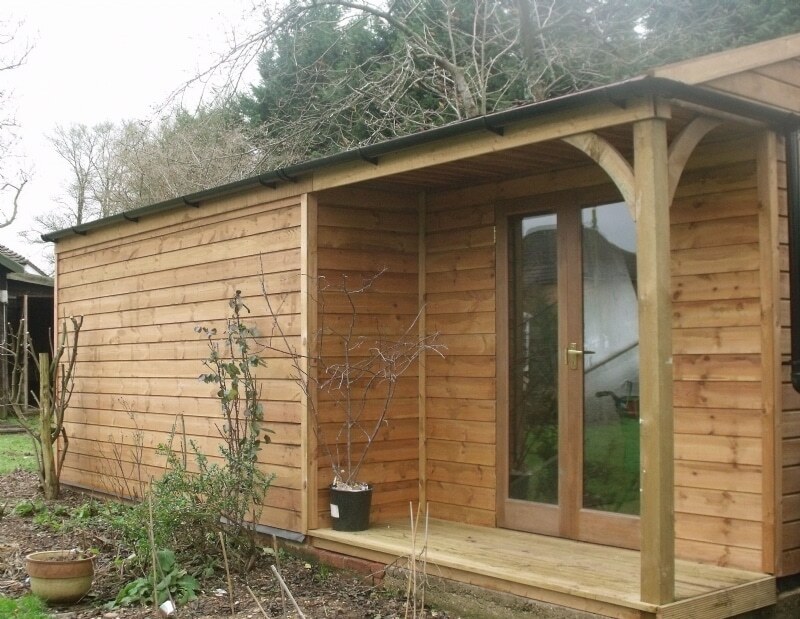 This building is 6.6m x 3.9m and has been split into a tractor store and a small garden room with a 1m front overhang. The store includes a set of barn doors (to the rear) and the garden room includes glazed double doors to the front and a casement window to the rear. We also supplied and installed the decking underneath the overhang . Inside the garden room we installed a timber floor. The roof is red felt shingles and includes roof windows for additional light and ventilation.